Stephanie is our in-house digital marketing guru extraordinaire. She graduated from Michigan State University in 2012 with a B.A. in Media, Arts and Technology. Her educational background and passion for digital marketing makes her able to view digital marketing projects in a technical and calculated way. 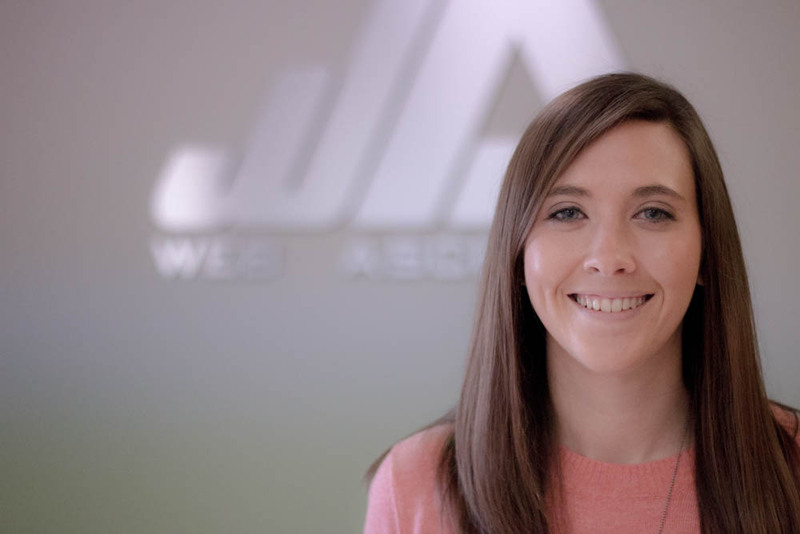 Her favorite part of her job is connecting with clients and becoming a part of their team. She says the most exciting and rewarding part of her job is building a strategy for clients that brings them in so many leads they end up needing to lower their ad budget! As a kid Stephanie was a soccer lover and was obsessed with Mia Hamm. Her interest in web was sparked when she spent a summer building a Mia Hamm fan site. (This website is also what got her recruited to the Web Ascender soccer team.) Stephanie loves being outside and aside from soccer, you can catch her playing volleyball or riding through the Lansing river trail on her bike.